Please fill in your information below and one of our team members will be in touch to discuss your requirements. I have read and agreed to the terms and conditions of use. I have read and understood the Simunix privacy notice. We will create an account using your email address and send you a link to set up your password. * 118 365 is charged at £3 plus VAT (£3.60) for the first minute - minimum charge - and thereafter at £3 plus VAT (£3.60) per minute by the second. Phone calls that are onward connected are charged at £3 plus VAT (£3.60) per minute by the second. You will also be charged an access charge per minute by the company that bills you for your phone calls. Thank you for using our csv download facility. 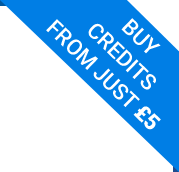 This feature is automatically enabled for most customers of ukphonebook.com that have verified their account by purchasing credits. If you continue to receive this message even though you have previously bought credits, please call us on 01904 567765 (overseas callers should dial +44 1904 567765). If you require more credits or Land Registry tokens please call 01904 567765 to speak to your account manager. Thank you for requesting this information. This is a premium service and will be charged at x credits. Please don't warn me about this in the future.